Astrological birth, solar, and progressed charts with 25 page reports plus person to person readings and counseling. What do you think astrology is all about? Astrology is a tool, used in counseling, to see what easy and difficult times are coming up and with what personality traits one has. Astrology helps the individual decide on how to proceed in a calm and rational manner. Astrology Forecast ˜ Horoscopes Astro Weather Forecast ˜ New and Full Moons . . . Personal Readings and Forecasts ˜ Love and Romance . . . Astro-Weather Forecast Horoscope New & Full Moons & Seasons Poem of NOW Love Test? Moon Cycles & Seasons Other Links Tell A Friend! Things that Sparkle! Submit Birth Data What were you in your past life? Just how old are you? Find Friday the 13ths Celtic Myth and Lore Astrology Forecast ˜ Horoscopes. Astro Weather Forecast ˜ New and Full Moons . . . Personal Readings and Forecasts ˜ Love and Romance . . .
Astrology for the 21st Century. 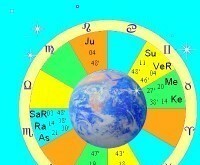 Astro-Noetics.com provides in-depth astrology and astrological analysis. This site combines knowledge of astrological archetypes, culture and astrology, the personality and the horoscope, and all things astrological. Growing and Evolving Into Light, Love and Peace. Unconditional Acceptance Of Self and All Life. Using Discernment Instead Of Judgement. This On Line Cycle System is Astronomical technology that helps you transform yourself by increasing your awareness. Thus adding Knowledge and Wisdom. Astrology is an amazing tool that brings insight and understanding to the world we live in. To know it fully requires years of study and experience. Alternatively, you can find an astrologer to enlighten you on your path. Accurate Astrology Reports. We have put together a culmination of 75 interpretive astrology chart reports covering many areas of life. Birth, charts, reports, software, horoscopes by email. Articles, Tutorials and more! April Elliott Kent has studied astrology for 32 years, and has practiced professionally since 1990. Susan West, astrologer in Portland Oregon area. Welcome. At the time of your birth, the heavens display a map of your life. I interpret and gently guide you through the mysteries of your destiny. What is clouded will become clear. What is unique and special about you will be revealed. Find your true passion -- your life's purpose. Release your personal power. This is the official Web Page of Carolyn Reynolds, Astrologer/Author. Carolyn wrote The Book of Lovers and most recently was companion author of Linda Goodmans Relationship Signs. This site features free monthly horoscope readings, book reviews, and information on Lovers Reports and other personalized readings. Welcome to Centering Point (SM), a personal development process that uses a variety of proven modalities to help you understand yourself and the world around you. Using Vedic Astrology, the Enneagram, intuitive counseling, and energy healing, this personal development program focuses on bringing clarity, alignment, and focus to your life. James Clark: Natal, Electional, Medical, Horary & Archetypal Astrologer. offers a correspondence course in psychological astrology as well as astrology books, reports, tapes, and charts. We're going to look at the partnership from several different angles. In the process, we're going to find out what kind of person you really are.